The death penalty adversely affects both families of murder victims and families of the accused, according to two recent journal articles. 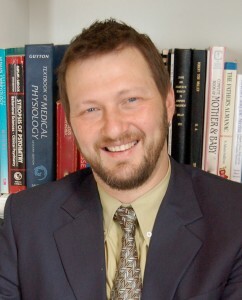 In his Psychology Today blog, Talking About Trauma, psychologist Dr. Robert T. Muller (pictured) reports that psychological studies have have found that the death penalty produces negative effects on families and friends of murder victims (referred to as "co-victims"). One University of Minnesota study found that just 2.5% of co-victims reported achieving closure as a result of capital punishment, while 20.1% said the execution did not help them heal. That may be because, as one co-victim described it, "Healing is a process, not an event.” A 2012 Marquette University Law School study reported that co-victims had improved physical and psychological health and greater satisfaction with the legal system in cases where perpetrators received life sentences, rather than death sentences. The authors of that study said co-victims, "may prefer the finality of a life sentence and the obscurity into which the defendant will quickly fall, to the continued uncertainty and publicity of the death penalty." Lula Redmond, a Florida therapist who works with family members of murder victims, said, "More often than not, families of murder victims do not experience the relief they expected to feel at the execution. Taking a life doesn’t fill that void, but it’s generally not until after the execution that families realize this." A number of co-victims expressed sympathy for family members of the condemned, but the death penalty process also can polarize the families, obstructing healing for both. An article for the University of Michigan Journal of Law Reform by Professor Michael Radelet of the University of Colorado at Boulder describes the retributive effects of the death penalty on the family, friends, and attorneys of death row prisoners. Radelet compares these impacts to the effect of life without parole and argues "that the death penalty’s added punishment over LWOP often punishes the family just as much as the inmate, and after the execution the full brunt of the punishment falls on the family. This added impact disproportionately punishes women and children." These effects on people other than the inmate, he writes, "undermine the principle that the criminal justice system punishes only the guilty and never the innocent. The death penalty affects everyone who knows, cares for, or works with the death row inmate."